You know you’re crazy about your dog if they have their own Instagram. There are literally hundreds of thousands of dog accounts to follow. But only a few show and share who’s behind the camera. These dog moms on Instagram are the reason I follow these accounts. One of the qualities that endear me to them is that these Instagram accounts are the people running these accounts are “dog moms” first. What I mean by this … is their deep love for their canine friends come across in their photos and posts. You can sense a lot about a person by how they write. And how they interact. And the photos that they share. Their stories are original. Their stories are authentic. Their stories are theirs. I never get the feeling that they do things to use their dogs as props or put them in situations to create content for the gram hoping it would go viral. Their accounts are special because you sense the connection, the authenticity, and the truth in their stories. 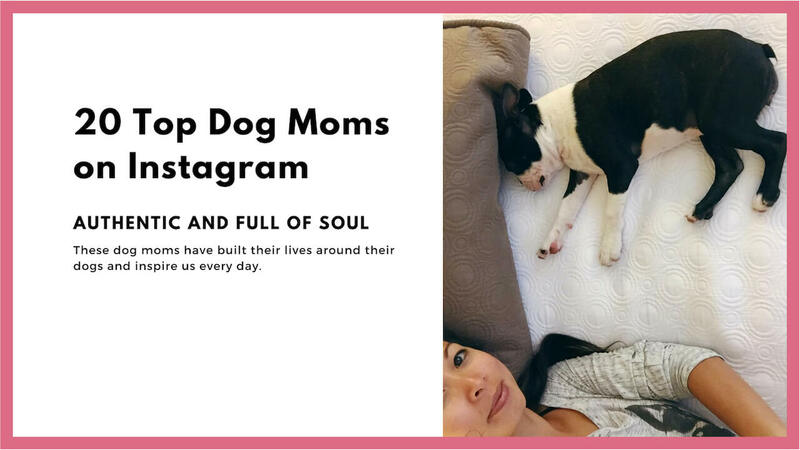 So … without further ado, and in no particular order I present the top dog moms on Instagram. Not only is she an amazing human be-ing. My dog Maggie happens to be engaged to her dog Buster! Sora and Laila’s dog mom Jen happens to be an Ultra Marthon Runner. They currently reside in Spain. Sparkle may be tiny but her big personality is best friends with her dog mom Marisu who is runs her Graphic Design business out of NYC. These amazing women have inspired me to share more of myself on our own gram. So a shameless plug for our own account. You can also find me on my personal IG @tinyfoot (although I hardly post there) but I make the occasional appearance on MaggieLovesOrbit. She’s been traveling the country with her dogs Hero, Marvel, Loki and Thor. Keeping up with her adventures is an inspiration. Blogger extraordinaire Rochelle was inspired by her dog Henry to start a blog and a business. She shares stories on how to make dog parenting affordable while also making stylish bowties for your pups. Just finished reading Fetch by @nicolejgeorges. Holy cow. For someone who has a deep, canine-love-of-my-life relationship with a reactive and anxious dog, it was so incredibly relatable. I was tearing up just a few pages in. Highly recommended for any dog lovers, but especially for anyone who has ever loved a #reactivedog ❤️ So good! Thanks to @hudsonisweird for the recommendation. I have been following the lives of this family for several years. They recently changed their account name. I love their account for being stylish and soulful at the same time. Not only can you find them on Instagram, if you want more visit their website. Mom to @maggieandrossi, author to @workinglikeadog, and co-founder of @gopupster … Nicole has built her life around dogs. Her heart is made of gold and she radiates positivity when you meet her in person. And every single time I am with her my energy goes up! The vibe is strong with Nicole. Laying in the grass, telling secrets and giving kisses with my Maggie. I fell in love with Emily and her bostons years ago. She’s also been an inspiration for self care. You can’t take care of your dog family if you don’t take care of yourself first. Tori and I have been virtual friends for years. We met through our dogs and I was immediately inspired by her blog WearWagRepeat (she also has a store on it and runs a successful podcast). We finally got to meet at this year’s Blog Paws. She’s entrepreneurial, creative and a fantastic dog mom to Lucy. I have never met Maxwell’s dog mom. But I aspire to her level of class with every post. Everything’s coming up Clementines ??? We are so in love with these sweet and whimsical bandanas! They’re almost sweet enough to eat! . ? Matching Clementine bandanas by @dogloverepeat featuring the adorable illustration of @elizabeth_draws . . . . .
I’ve been very fortunate with our Instagram friendships. My family has found it amusing when I share stories of “I’m going to go meet my Instagram friend in person for the first time”. But that wasn’t the case with Anya. She’s got a huge heart for her dogs. She’s genuine and authentic. And extremely talented to boot with her camera. Matching with my bae ? wearing @thefoggydog Havana Bandanas ? York loves me today ? #twinningiswinning and this dynamic duo (whom I have not yet met in person) were featured on Instagram for one of their boomerangs. Not only do they have the most delightful style, she runs a successful business @shop_ariandm … inspired by her pug. I kept running into Nikki and her dogs OFF Instagram. I am constantly looking for places to adventure with my pups. And found Nikki sharing stories of their own dog family vacations. Unbeknownst to her, her blog posts were inspiring our bucket list. Totally feelin’ these Berkshires/New Englandy vibes ? Lenox is only 2.5 hrs away from NYC + 2 hrs from Boston. It is rich in American history, woodsy + quaint- a perfect getaway from the city. The pups are loving it here, especially dog-friendly @33main ? PS: I may look calm in this photo but I found out this morning that Fira’s passport is invalid. Turns out while her previous rabies vaccination does not expire until August, since she got a new one a few weeks ago it immediately cancels out the previous one. Which means, gotta do the paperwork all over again AND get it stamped in Albany ? ?‍♀️ we were a bit freaked this morning but thank god we found a vet in this little town who can squeeze us in!! Oh the stress + beauty of traveling! So, for those of you curious about the process just watch our stories later today ? So there you have it. Twenty women who’s confidence, independent sense of awareness and vision inspire me every day. The future is indeed women…. and her dogs! 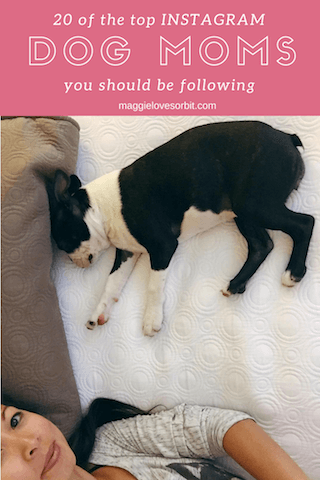 Want to free resources on how to use Instagram for your Dog? I share articles about Instagram’s grown, visual AI, hashtags and a content roadmap for bloggers. Visit this LINK to learn more or purchase our Instagram Guide below and take the guesswork out in growing your Instagram account. Thank you for featuring us! We love you and the girls and are your biggest fans! this is such an honor! We love you both! One day we will meet!